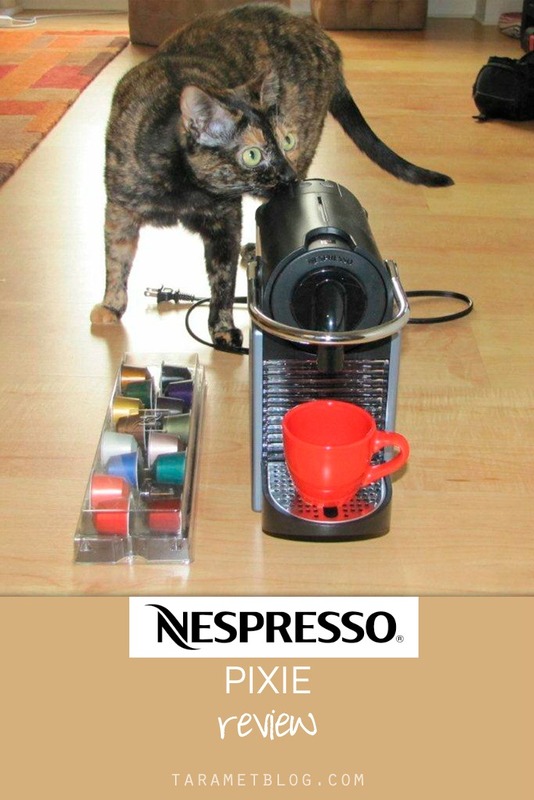 I recently included the Nespresso Pixie Espresso Maker ($140) in my Mother's Day Gift Guide, but let me expound on this awesome eye-catching new single-cup espresso machine. 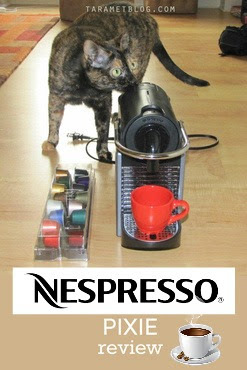 I wasn't even an espresso fan until I got the Nespresso Pixie. Now, I love having a little cup to keep me going between events for an artificial second wind. I also love being able to say to my guests, "Would you like a cup of espresso?" It just sounds so mature and European. Plus, it only takes under 30 seconds to make each cup, thus no fuss, yet you're an instant barista. The machine is from Switzerland and outside of the home it is used in locations such as gourmet restaurants, upscale hotels, luxury outlets and offices. Brewing is fully automatic, all you phave to do is have water in the tank, which I change every few days. Then, simply pop in a coffee capsule (16 varieties available from around the world) and select your cup size. Then an impressive sound of steam takes place as hot espresso liquid pours into the little cup in less than 30 seconds. I literally made five cups in under five minutes for my guests last week. I was thinking I was going to have to store the machine elsewhere and bring it out when I wanted to use it, but it is called the "Pixie," because it's much smaller than other devices I have seen. It’s the ideal size for small kitchens, apartments and offices. As a result, I simply leave it on my counter since it doesn't take up much space and because it's so pretty too. The Nespresso Pixie is available on Amazon, Williams-Sonoma and Bloomingdale's in six different bold colors - red, silver, indigo, electric lime, aluminum and steel blue. Disclaimer: No compensation was received for this post. I received a unit for review. I have to admit that I was skeptical when I first saw it but the expresso shot that was brewed from that tiny thing was no joke. Should we expect a raffle from your website? Wow looks awesome and perfect for a coffee lover like me.